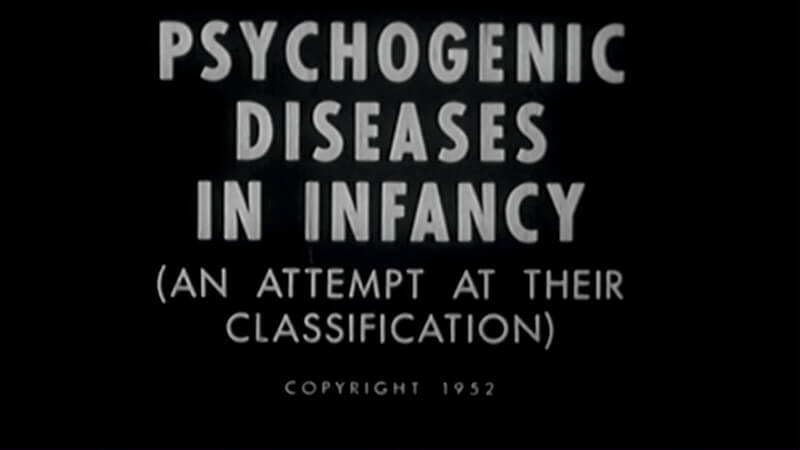 Psychogenic diseases in infancy, 1952.
description: Rene Spitz, an Austrian-American psychoanalyst, based his observations and experiments on the psychoanalytic discoveries developed by Sigmund Freud. Some of Freud's ideas are still present in modern development thinking. 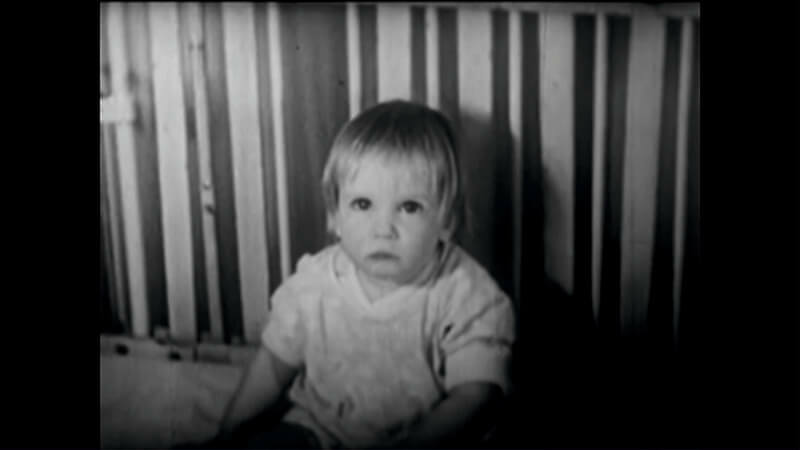 Where Freud conducted famous psychoanalytic practices about adults, Spitz based his views on empirical research on infants. 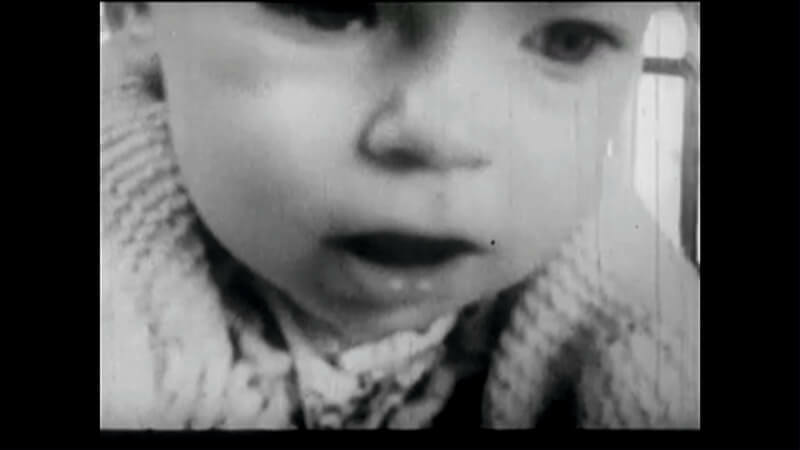 In 1935, Spitz began research in the field of child development. 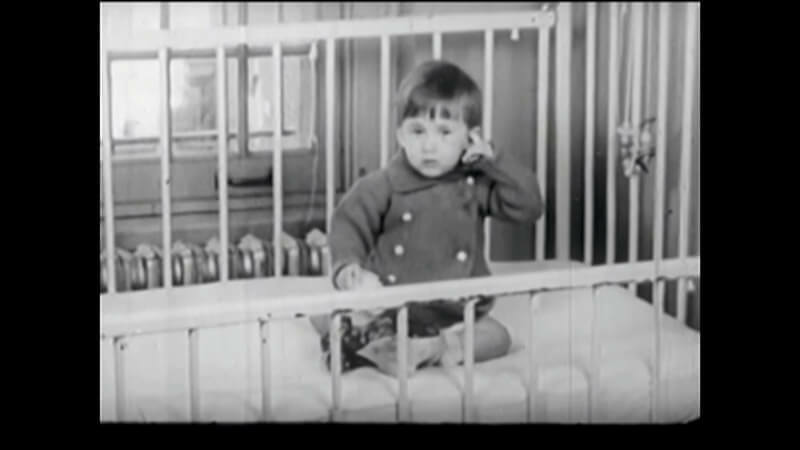 He was one of the first to use the direct observation of the child as an experimental method - comparing both healthy and unhealthy people. 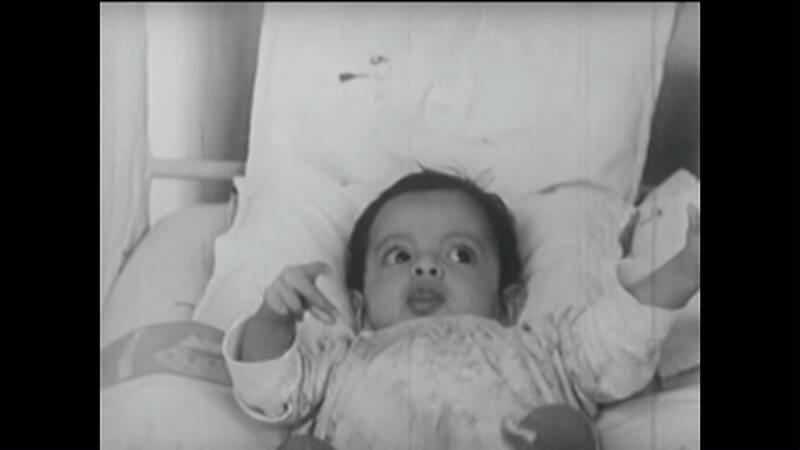 His greatest scientific contribution comes from research into the effects of maternal deprivation and emotional deficiency in infants. Rene Spitz proved that the child's lack of contact with a carer consisting in touching, hugging, stroking, kissing leads to a sharp decline in immunity of the immune and nervous system. In extreme cases, the child's lack of contact with someone who cares for them can lead to such a weakening of the body that ends in death, even despite of good emotional care. Those children who received the necessary minimum sensitivity to survive physically and mentally develop much better.